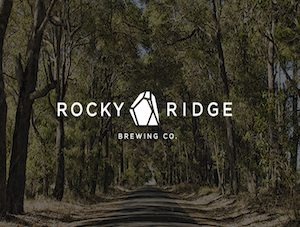 From a go-to-market strategy, it’s interesting to see two Australian companies collaborating to launch their new product to the Singapore market, prior to its Australian release. However, thats what Pirate Life and Great Southern Distillery/Limeburners have chosen to do with the release of their new small batch Whisky Barrel Aged Stout. 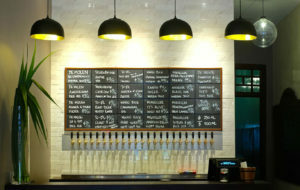 Launching tonight (Jan 17th) at Singapore’s Freehouse the Pirate Life and Limeburners teams will be cracking open the world’s first (public) bottles of their new Whisky Barrel Aged Stout collaboration. In addition to the launch, in a match made in heaven, the Freehouse team will also be offering 3 styles of Pirate Life X Limeburners Boilermakers, including the Singapore exclusive Limeburners Director’s Cut. 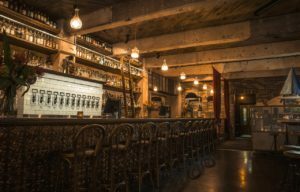 That beer is the brainchild of Great Southern Distillery’s founder Cameron Syme, and Pirate Life’s Jared “Red” Proudfoot. The end result being “a variation of Pirate Life’s standard stout but a bit mellower, less bitter and a little sweeter to offset the astringency you get from oak”. “The malt bill was mostly Maris Otter, a bit of Pale Malt, Cararoma, Carafa III, Roasted Barley and Chocolate Malt. A simple, earthy hop bill of EKG and Fuggles was chosen to compliment the vanilla from the barrels, the chocolate from the malts and the sweetness of the whisky. The first batch spent 18 months in barrel, and since then Pirate Life have brewed it twice more, meaning the beer in the bottle is a blend from three separate “vintages” so it’s a little bit of a solera style – some of the original 18-month-old barrels are still in the warehouse maturing”. 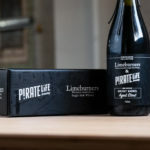 The Limeburners x Pirate Life Whisky Barrel Aged Stout will be released Australia wide in early February in a limited release of 4800 bottles.